Facebook has eased its privacy settings for 13 to 17-year-old users, enabling them to now share photos updates and comments with the public. The change went into effect immediately after the announcement on Wednesday. 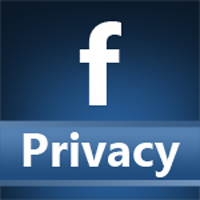 The privacy settings for teenagers were previously set to “Friends of Friends” as a default. Their default will now be set to just “Friends,” a narrower audience, but they will have the choice to make their posts public. However, a small warning will pop up when teenagers try to set their posts to public, giving them one last warning that anyone can see their online content once they make it accessible. Of course, this change means that teenagers can now be easily found on the site, both by their friends and by strangers. Their data will also now be accessible to marketers and advertisers, something that child advocacy groups have tried to resist.